Celebrating or no, I'm sure you've all realized that Easter on Sunday. This year, Easter is coincides with my birthday, and I've been joking about how it coincides with Jesus's rebirth-day. The thing about birthdays is that I always love celebrating everyone else's birthdays (You want cake? I've got you covered. ), but I've always been a little uncomfortable celebrating my own. In fact, I'm not very comfortable in most circumstances in which a group of people is focused on me and whatever I'm doing. Yesterday, I was in one of those here-are-all-these-people-watching-you-and-expecting-things-from-you situations, and, though I managed to get through it decently, I spent the rest of the afternoon hiding from flashbacks to my less-than-stellar moments. You know... those moments when you cringe at something you said/did even though everyone else has probably long since forgotten whatever it was if she even bothered to store it in her memory in the first place? Speaking of food, here's that recipe for the coconut-key lime pie that the title promised. 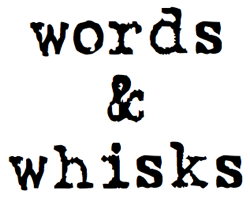 I don't have any great pictures of it, but--hey--a good recipe is a good recipe. I would probably increase the amount of lime in the base next time (but I like a really tangy lime flavor), but I highly recommend trying it out. It might just be the perfect dessert to grace your rebirth-day table! In a food processor, pulse graham crackers until fine crumbs form. Add in sugar and coarse salt and pulse to combine. Pour in butter and then pulse, scraping down sides several times in between, until a crumbly meal that sticks together forms. Grease a 9-inch glass pie plate and dump the graham cracker mixture into the pie plate. Using your fingers, push the pie crust mixture up against the sides. Smooth out the pie crust by using a flat-bottomed drinking glass to flatten the crust and press it into a firm layer. Bake the pie crust at 350 degrees F for about 10 minutes or until it looks set. Remove from the oven and let cool completely before filling. In a large bowl, whisk together the sweetened condensed milk, the coconut milk, the egg yolks, and the lime juice until smooth. Pour into the prepared pie crust and bake for 35 to 40 minutes or until the middle of the pie looks set but still wobbly. In other words, when you shake the pie, it should wiggle around, but it won't slosh out of the pie crust because the top will be a little firm. Let cool completely at room temperature (about 2 hours), and then refrigerate for at least 3 hours (or overnight) before serving & topping with the lime whipped cream. 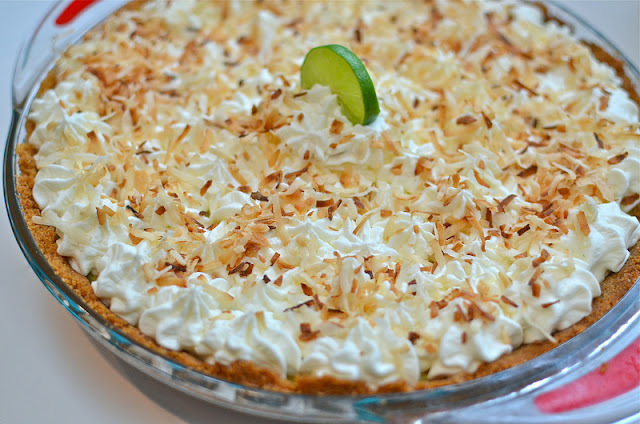 *I would double the lime juice next time I make this, as I like my key lime pie really tangy. This amount gives a fairly subtle lime flavor. In a large bowl, combine the heavy whipping cream, sugar, and lime juice. Scrape in a little lime zest, too, if desired. Stir together the ingredients, taste, and add more lime or sugar if desired. Using an electric mixer, beat the heavy cream on high for about 2 minutes or until soft, fluffy peaks form. 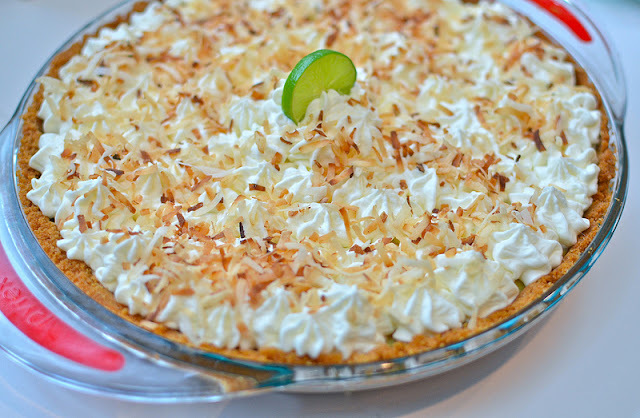 Again, taste the whipped cream and adjust lime/sugar, then spread onto pie. I assembled my pie by first piping the lime whipped cream onto my pie using a large star tip or something similar. I piped large dots all around the outside of the pie and then worked my way inside. 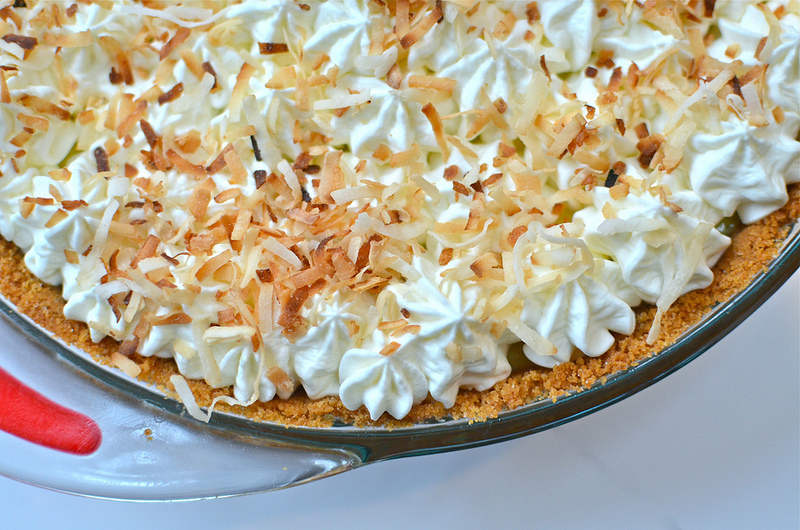 Next, I sprinkled the toasted coconut generously over the whipped cream. 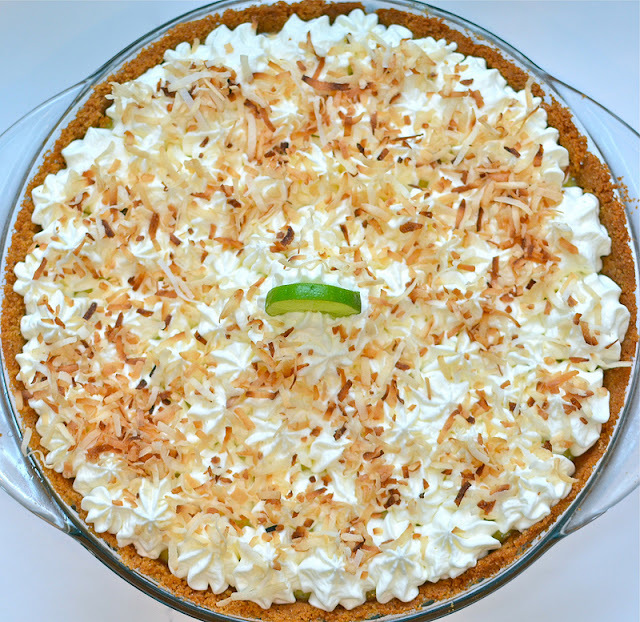 I had made a big star in the middle of the pie, so I placed a little key lime slice into that. 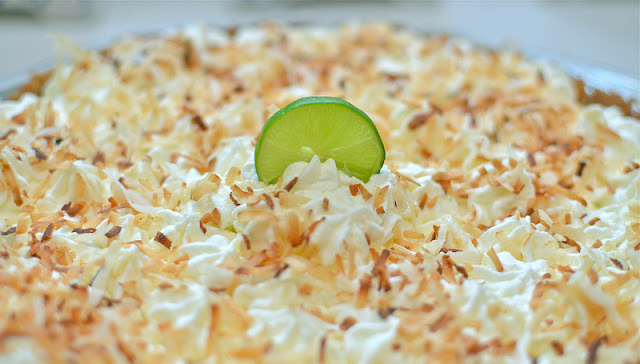 Alternatively, you can just spread the whipped cream on, sprinkle the coconut on, and serve like that.